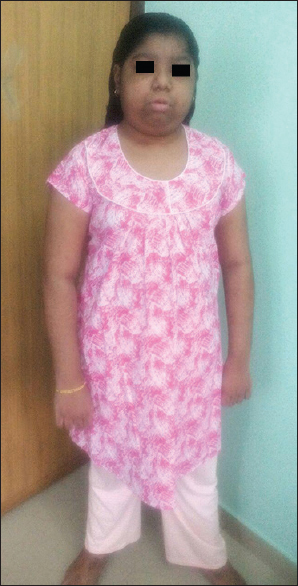 Over recent years, the transplantation outcomes have improved dramatically. However, rejections still occur despite potent immunosuppression. Furthermore, long-term transplant complications affect outcomes, for example, new-onset diabetes after transplantation (NODAT) or cancers worsen outcomes. The science of transplantomics is a relatively novel science directed at further improving short- and long-term outcomes after transplantation. Hence, nephrologists need to be aware of potential applications of omics in transplantation. Introduction: Asymptomatic bacteriuria (AB) is not uncommon after renal transplantation with limited data from developing countries; we did this study to assess the microbiological spectrum and its short-term graft outcome in our tertiary care center. Materials and Methods: It is a prospective observational study. We included all the patients who underwent renal transplantation over a period of 18 months, from January 2016 to June 2017. Patients who had indwelling urinary catheter beyond 5 days posttransplant and those with persistent graft dysfunction within 6 months of transplant were excluded from the study. Results: A total of 67 patients were included in the study with a mean age of 33.78 ± 8.91 years and a male-to-female ratio of 7:1; live-related donors were 36 (53.73%), live unrelated were 19 (28.35%), and 12 (17.91%) were cadaveric renal allograft recipients (RARs). 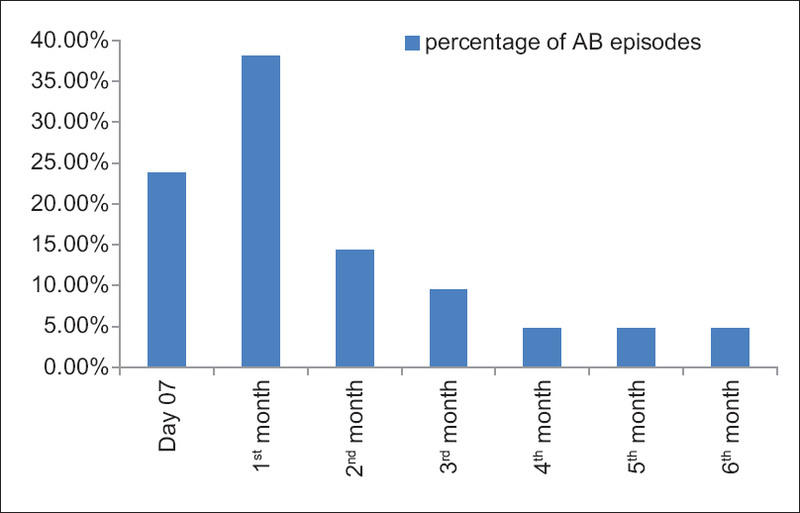 Twenty-eight (41.79%) patients had 42 episodes of AB over 6 months of follow-up. 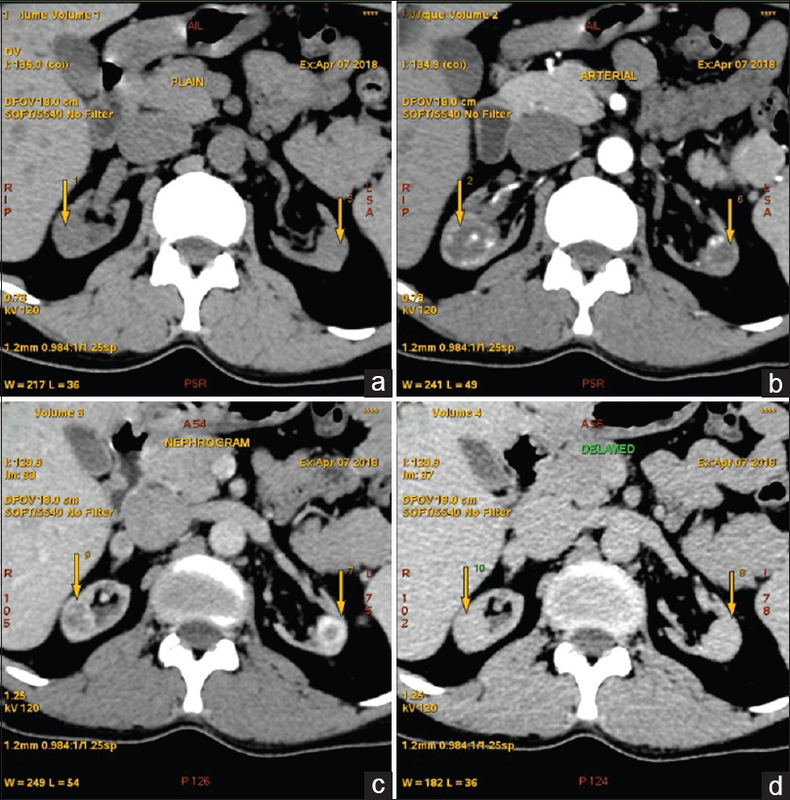 The maximum episodes occurred within 1 month of postrenal transplantation, and 42 out of 67 (62.68%) RARs had bacterial growth in their double-J ureteral stents (USs). The most frequently isolated pathogen from urine was Escherichia coli (n = 14, 33.33%), whereas Pseudomonas aeruginosa (n = 10, 23.80%) was in US culture (USC). The prevalence of AB was higher in cadaveric RARs compared to live RARs (83.33% vs. 32.72%, P = 0.001) and with bacterial growth in the USC compared to those who did not show any growth in USs (57.14% vs. 16.0%, P = 0.001). However, the estimated glomerular filtration rate between those with AB and those without at 6 months of follow-up (66.36 ± 14.98 vs. 66.10 ± 13.83 ml/min/1.73 m2, P = 0.943) was not different. Conclusion: AB is not uncommon in RARs and it is more common in cadaveric RARs and those with growth in US culture without compromise in allograft function at 6 months postrenal transplant. Fungal infections account for 5% of all infections in renal transplant recipients. Mucormycosis has emerged as an important invasive fungal infection in transplant recipients associated with aggressive clinical course and substantial rates of death. A 28-year-old male with chronic kidney disease underwent renal transplantation from a deceased brain-dead donor. 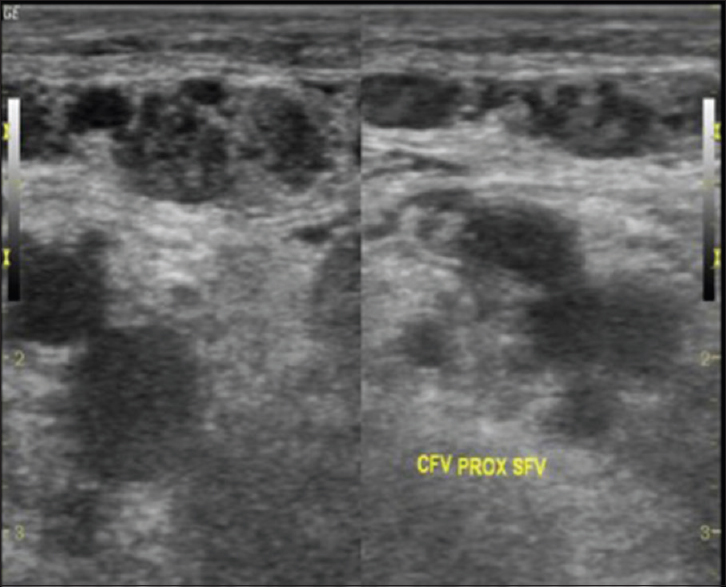 Implantation kidney biopsy showed features of acute tubular necrosis. 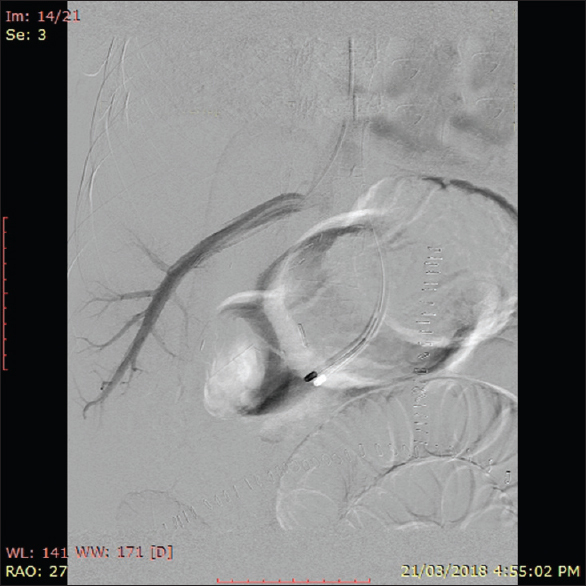 On follow-up, the patient had progressive renal failure. 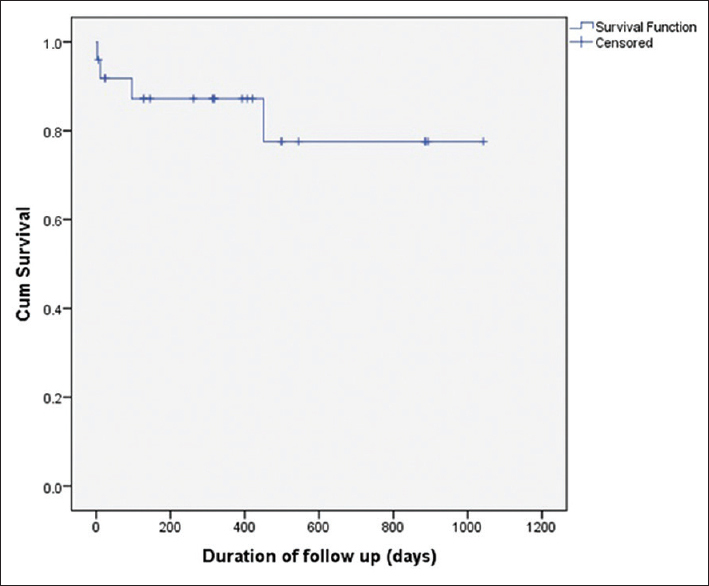 The patient expired 3 months after transplantation due to sepsis with refractory shock. 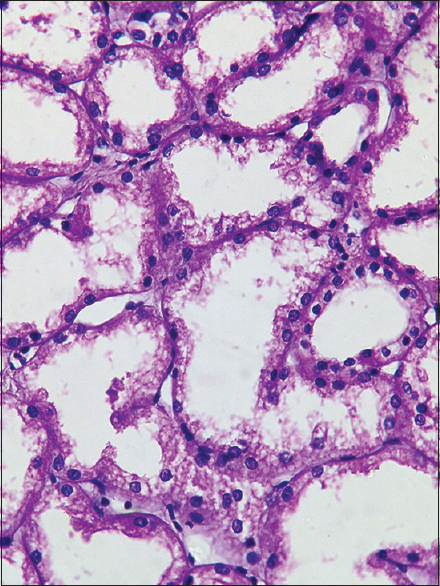 Postmortem needle biopsy done on the liver showed areas of necrosis with broad, aseptate filamentous fungal hyphae stained positive with Gomori methenamine silver stain favoring mucormycosis. Mucormycosis is a fatal mycosis in transplant recipient due to its angiophilic and thrombosis/hemorrhage-oriented characteristics. 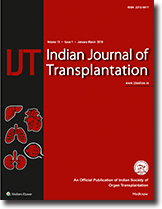 The overall mortality rate among solid-organ transplant recipients with mucormycosis is 38%–48%. Early detection and appropriate timely management of fungal infections play a decisive role in improving the survival and reducing the mortality. 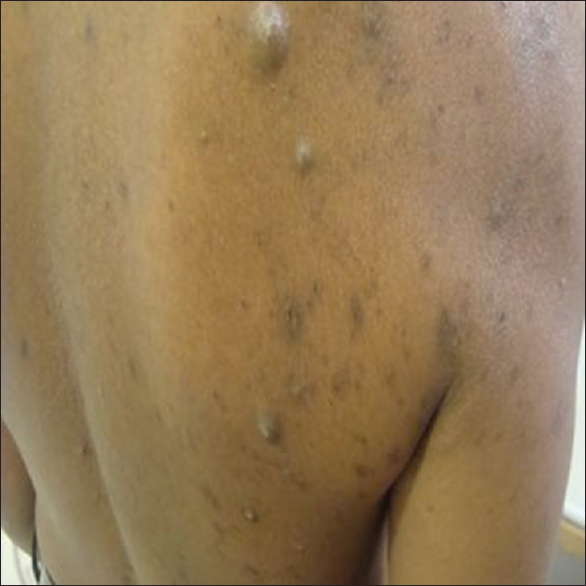 Superficial cutaneous fungal infections are common in our country in the kidney transplant recipients. However, deep fungal infections involving the skin and subcutaneous tissue are relatively rare. 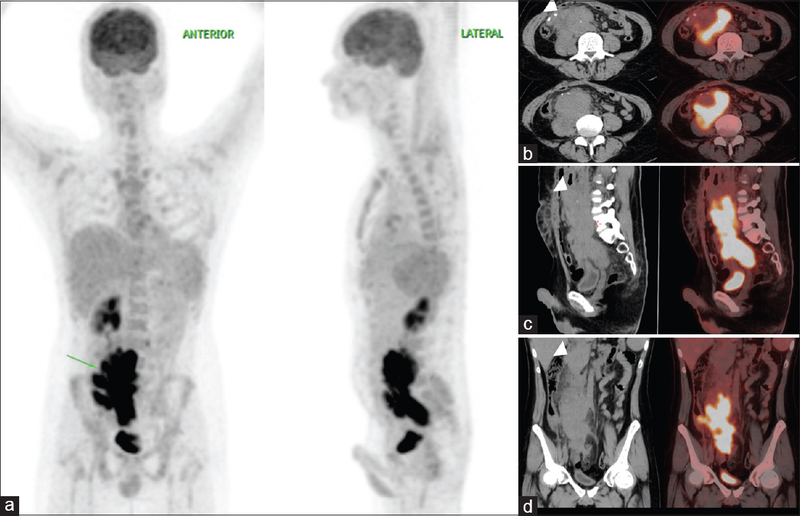 Here, we report a case of chromoblastomycosis in a renal allograft recipient on a calcineurin inhibitor-free immunosuppression. The case highlights the importance of skin biopsy in differentiating various skin lesions in transplant patients and the role of the early institution of appropriate treatment in successfully treating these infections.